Mexico Beach Fishing Tournaments 2017 + Seafood Recipe! Summer is here and Mexico Beach fishing season is in full swing! Scalloping is one of our area’s most famous summer activities, but one that many people haven’t tried yet. This could be your year! Grab a snorkel, mask, fins, and a mesh bag and bring the whole family out to St. Joseph Bay and the waters west of St. Vincent Island in Franklin County. The season runs through September 10 and the water’s warm, so come on down and scoop up some succulent scallops; then check out the annual MBARA Seafood Cookbook for some ideas on how to make your supper with your fresh catch. You can also return your scallops to the water to repopulate the area, then come back and enjoy the fun again next year. For additional information and full details from FWC on regulations and license requirements, click here. The 13th Annual Mexico Beach Offshore Classic is set for July 28 and 29! This annual tournament takes full advantage of the incredible sportfishing available in our area. Three fishing categories give anglers the best opportunity to catch the big one in King Mackerel, Dolphin, and Wahoo, then win cash prizes! The kickoff event is the Captains’ Party on Thursday, July 27, at the El Governor Motel from 5:30 p.m. to 8:00 p.m. CST. The tournament will be held Friday, July 28, and Saturday, July 29 beginning bright and early. Weigh-in for both days will take place at the Mexico Beach Marina from 4:00 p.m. to 5:30 p.m. CST. Join us and see if you reel in the big one, or just come to cheer on our anglers and enjoy the awards ceremony and celebration July 29 at the Mexico beach Marina. 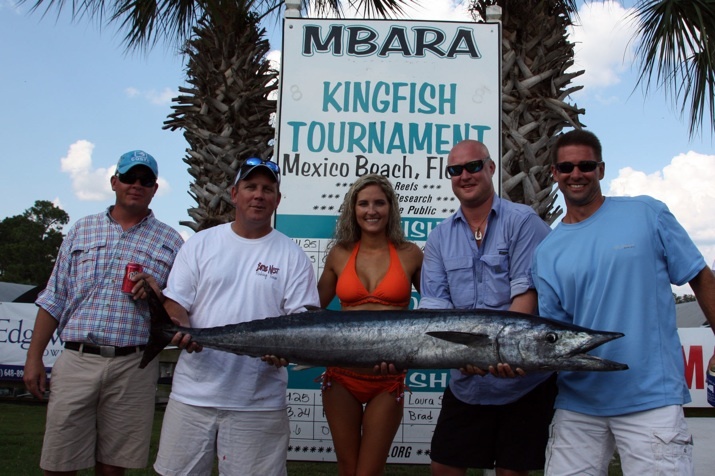 The 21st Annual MBARA Kingfish Tournament is a charitable event to build artificial reefs. One of the biggest Mexico Beach events of the year, the Kingfish Tournament helps fund the extensive reef systems and preservation efforts of the Mexico Beach Artificial Reef Association, which has deployed over 150 reefs since 1997. Kicking off the event is the Captain’s Party on Friday, August 25 from 5:00 p.m. to 9:00 p.m. CST at Veterans Memorial Park in St. Joe Beach. Join the fishing tournament Saturday, August 26, with weigh-in from 1:00 p.m. to 5:00 p.m. CST at the Mexico Beach Marina. With so many opportunities for fishing, harvesting scallops, or finding the freshest seafood in local markets, cooking a delicious meal at your beach house or condo has never been better. 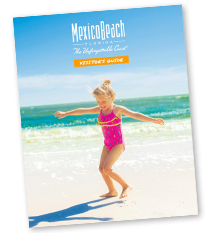 Enjoy this recipe from the latest MBARA Seafood Cookbook and get a taste of Mexico Beach at home! Cook linguine according to package directions; drain, return to pan, and set aside. Rinse shrimp and pat dry with paper towels. In a large saucepan, cook onion, garlic, and crushed red pepper in hot oil until tender. Stir in tomatoes and tomato sauce; bring to boil. Add shrimp, reduce heat and simmer, uncovered, three minutes or until shrimp are opaque. 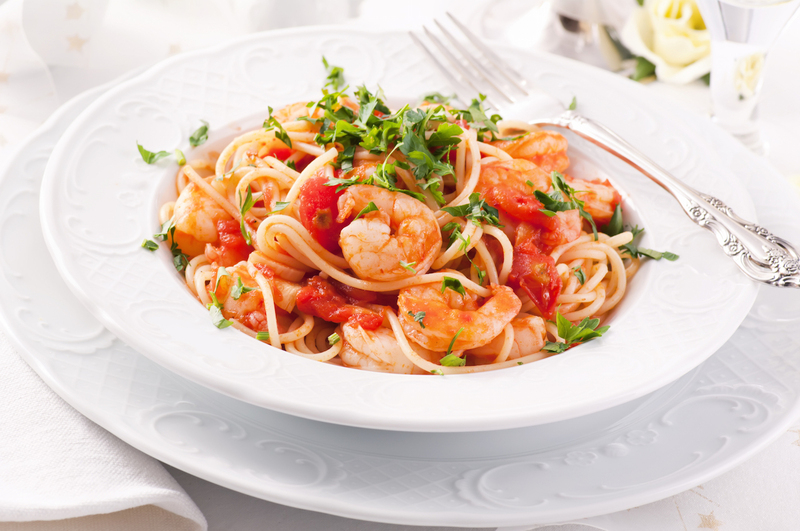 Add shrimp mixture to pasta. Stir in basil and spinach. Top with Parmesan; serve hot and enjoy! 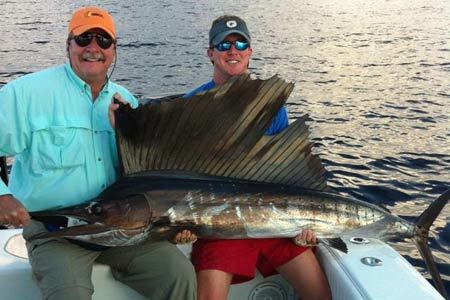 For more information on fishing in Northwest Florida, click here to view our Mexico Beach Fishing Guide.